The Inevitable Commercial Crew Train Wreck? By Keith Cowing on September 30, 2015 2:55 PM. "NASA at its highest leadership level has committed to try to allow commercial space flight providers a great deal of flexibility and cost control. There are ways to do this which will not compromise safety in design or operation. But having NASA civil servants as the arbiters of whether or not thousands of requirements have been satisfied is not the way to accomplish neither safety nor cost efficiency. So whether Commercial Space Flight gets $6 billion or $3 billion or $50 million, the entire effort is on the way to a train wreck." Keith's note: 5 Years Later and this is still a concern. By Keith Cowing on September 25, 2015 10:56 AM. "Aerojet Rocketdyne Holdings Inc is considering raising its $2 billion offer for United Launch Alliance, a rocket launch venture of Boeing Co and Lockheed Martin Corp, but faces big hurdles after a public rejection of the bid last week, according to multiple sources familiar with the matter. ... The sources said Aerojet faces an uphill climb given growing tensions between the two companies over the past few years. This week ULA dumped Aerojet as its solid rocket motor supplier and signed a long-term deal with its rival Orbital, which is not currently in that business." "Aerojet Rocketdyne Holdings Inc will pay Orbital $50 million to settle a dispute stemming from an Antares rocket launch accident last year that destroyed a load of cargo bound for the International Space Station, Aerojet said on Thursday." "Today United Launch Alliance and Orbital ATK, Inc. announced a long-term strategic partnership in which Orbital ATK will become the sole provider of solid rocket boosters for ULA's Atlas V and Vulcan launch vehicles, effective in 2019 when the new motors are ready for launch." "But wait: the same Aerojet Rocketdyne/Boeing/Lockheed Martin/Orbital ATK crowd (aka "The Four Amigos" in industry circles) is also building SLS - and ULA was always a sanctioned monopoly (until SpaceX showed up and spoiled that party). Everyone seems to be hedging their bets these days via acquisitions and consolidations - instead of trying to build newer and better rockets that actually do things more cheaply/efficiently - except SpaceX, I guess." By Marc Boucher on September 25, 2015 9:13 AM. "SpaceX has released the following video of the first static fire test of the upgraded Falcon 9's first stage with densified propellant which occurred on September 21." Can Congress Authorize Mining On Asteroids? By Keith Cowing on September 24, 2015 8:44 PM. "In May, the House of Representatives passed a bill that would give asteroid mining companies property rights to the minerals they extract from space. Called the Space Act of 2015, the bill now awaits the Senate's decision. ... In an article in the journal Space Policy, Fabio Tronchetti, a lawyer at the Harbin Institute of Technology in China, argues that the Space Act of 2015 would violate the Outer Space Treaty. He writes: States are forbidden from extending their territorial sovereignty over outer space or any parts of it. Despite arguments claiming otherwise this prohibition also extends to private entities. In essence, Tronchetti argues that if the U.S. passes this bill, it will confer rights to space companies that the U.S. doesn't have the power to give." Keith's note: This is like the legislation declaring the Apollo landing sites and their artifacts as a "National Historic Park". How can the U.S. Congress make laws, impose regulations, and confer rights regarding activities - by anyone - on bodies in the solar system over which it has no jurisdiction? Why would any company pour billions into a mining project if they cannot own anything that they dig up? A mining site is composed of stuff that a miner wants to take and eventually sell to someone else. You can't sell something that you do not own. And if no nation can claim territory in space (where those mining sites would be located) then how can any nation make laws that give someone the right to mine these places? "Any asteroid resources obtained in outer space are the property of the entity that obtained them, which shall be entitled to all property rights to them, consistent with applicable federal law and existing international obligations." Space Commerce Opportunities For All - Or Just Some? By Keith Cowing on September 23, 2015 10:10 AM. "The Commercial Spaceflight Federation welcomed several new member companies at its Executive Board meeting this week, expanding its membership to more than 60 companies. ... Frank DiBello, President and CEO of Space Florida, was reelected as the CSF chairman." Keith's note: This seems to be a bit of a conflict of interest to me. I would think that you'd want someone in a leadership role in an organization such as this who was interested in equally spurring space commerce in all 50 states without deference to any particular state - especially when government-led programs have been focused in just a few states - such as Florida. Indeed if DiBello pushes to get things going in other states (e.g. new spaceports) he's not doing his job in the best interest of Florida. But what do I know. By Keith Cowing on September 22, 2015 6:52 PM. Keith's note: Yet another NASA civil servant who wants to limit taxpayer interaction with regard to NASA solicitations with an education/technology exchange subject matter. Last week it was someone at NASA HQ who did not want any faxes (while NASA field centers always list them) - but preferred email or phone calls. Their solution was to put 000-000-0000 for their fax number. This week we see that Bonnie James doesn't even want to talk to you. Just email. FWIW according to people.nasa.gov her phone number is not 000-000-0000 - it is 256-544-6985 and her real email is bonnie.f.james@nasa.gov. By Keith Cowing on September 21, 2015 8:57 PM. "For fiscal year 2016, FAA requested a 16 percent increase in staff for its commercial space launch activities to keep pace with industry growth. Office of Management and Budget guidance indicates that if an agency is requesting significant changes in full-time positions, it should provide a detailed justification of the changes and discuss alternative implementation strategies. However, FAA's fiscal year 2016 budget submission does not provide a detailed justification of the staffing changes and does not consider alternatives to hiring additional staff. Because FAA has not done this, Congress lacks information that would be helpful in making decisions about the resources needed for the agency's commercial space launch activities. FAA officials said that the agency lacked additional workload metrics, which officials are now developing to include in future budget submissions for its commercial space launch oversight activities." By Keith Cowing on September 17, 2015 9:39 PM. "Boeing's top defense official said the company has no interest in selling off the United Launch Alliance (ULA), despite a bid by Aerojet Rocketdyne to buy the company. Chris Chadwick, president and chief executive officer of Boeing Defense, Space & Security, said ULA will be "a huge part of our portfolio going forward" and that there was "no serious consideration" given to the bid offer, reportedly for $2 billion. "This bid, we've really not spent much time on it at all, because we're focusing in a totally different direction," he said. A Lockheed spokesman declined to respond to Chadwick's comments, and an Aerojet representative did not respond by deadline." By Keith Cowing on September 15, 2015 10:31 AM. "Blue Origin has selected the Florida Space Coast to locate a new manufacturing facility and signed an agreement to use Launch Complex 36 (Pad B) to launch their new reusable rocket which they expect to fly from the Cape by 2020." Marc's note: Launch Complex 36, Pad A, is being used by Moon Express. "One of the unique things about our Florida operations is that we aren't just launching here, we're building here. At Exploration Park, we'll have a 21st century production facility where we'll focus on manufacturing our reusable fleet of orbital launchers and readying them for flight again and again. Locating vehicle assembly near our launch site eases the challenge of processing and transporting really big rockets." By Keith Cowing on September 14, 2015 11:29 AM. "In labs around the world, cryo-electron microscopes such as this one are sending tremors through the field of structural biology. In the past three years, they have revealed exquisite details of protein-making ribosomes, quivering membrane proteins and other key cell molecules, discoveries that leading journals are publishing at a rapid clip. Structural biologists say - without hyperbole - that their field is in the midst of a revolution: cryo-electron microscopy (cryo-EM) can quickly create high-resolution models of molecules that have resisted X-ray crystallography and other approaches, and labs that won Nobel prizes on the back of earlier techniques are racing to learn this upstart method. The new models reveal precisely how the essential machinery of the cell operates and how molecules involved in disease might be targeted with drugs." Keith's note: NASA has been thumping on the value of using the microgravity environment afforded by spaceflight as a way to create large, ultra-pure protein crystals - the kind you need to get the best structural measurements using x-ray crystallography. It was a cool idea with considerable merit. Full disclosure: part of my job at NASA back in the 90s was to promote this type of research and I did so enthusiastically. But it took NASA a long time to actually try this in space while the real world back on Earth pushed ahead. Now, the ability to use exceptionally small amounts of material on Earth using high-precision, ultra-powerful x-ray sources has allowed materials developed for ground-based crystallography that exceed what is obtained from research using space-based materials. Recently crystallography itself, in its traditional form, is now being eclipsed by new methods that offer even more precise structural information - with no apparent need for the trip to and from space. So where is NASA in this story? 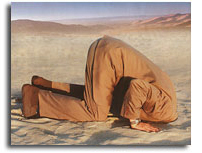 Continue reading NASA and CASIS Chase Old Research Paradigms In Orbit. Has SpaceX Shocked The Launch Industry To Transform? By Keith Cowing on September 10, 2015 8:54 AM. "Aerojet Rocketdyne made the offer, and negotiations are in advanced stages, the Wall Street Journal reported, citing sources. Those sources also said a buyout could enhance ULA leadership and improve funding for its development of U.S.-made rockets. The offer comes as United Launch Alliance is seeking to keep its position as the Pentagon's top rocket supplier while also grappling with economic sanctions on Russia that threaten ULA's supply of Russian-made RD-180 engines needed to power its Atlas 5 rocket." "The problem for Bezos' Blue Origin is that the Kent-based space company is currently the leading contender to build a new rocket engine, the BE-4, to replace Russian rocket engines that now power the ULA's Atlas 5 rockets. But California-based Aerojet Rocketdyne, long the nation's largest builder of rocket engines, badly wanted that contract, and has been fighting to beat out Blue Origin for the deal. So if Aeroject Rocketdyne buys ULA, the company will likely use its own engines on the Atlas 5, and not Blue Origin's engines." "Ultimately, leveraging of the commercial space market drives down cost to the American taxpayer and improves our military's resiliency," said Air Force Secretary Deborah Lee James said in May. All of which may make ULA's board eager to sellfor the right price." @ToryBruno Has @SpaceX finally scared @ulalaunch such that they can never compete on cost/performance with SpaceX? By Keith Cowing on September 7, 2015 12:08 PM. "Whisky fired into space almost four years ago as part of an experiment has returned to Earth with enhanced flavour and character, according to its creator. 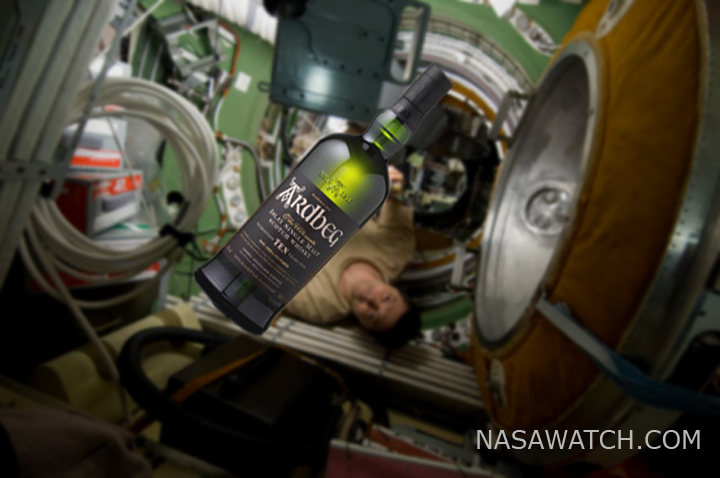 A vial of unmatured malt from the Ardbeg distillery on Islay, Scotland, was sent to the International Space Station in a cargo spacecraft in October 2011, along with particles of charred oak. Another vial of the same whisky was kept at the distillery for comparison. ... Dr Bill Lumsden, Ardbeg's director of distilling, said: "The space samples were noticeably different. When I nosed and tasted the space samples, it became clear that much more of Ardbeg's smoky, phenolic character shone through to reveal a different set of smoky flavours which I have not encountered here on Earth before." "This is an interesting commercial use of the ISS - if somewhat unconventional - one that has attracted actual private investment (from a high-quality, high-visibility, world-class manufacturer) at a time when NASA's scorecard is rather lacking in this regard. Imagine this: an actual biotech process that is being investigated in the unqiue environment of space with significant commercial backing and promotion. Of course, the NASA ISS National Lab and CASIS folks seem to be totally uninterested in how real commercial space activities happen." Keith's note: CASIS still utterly ignores this whole project - but focuses instead on their golf game in space. Fermentation, distillation, and aging - regardless of what you are producing - are key industrial processes on Earth - ones that involve a lot of precise biochemistry. If something works differently in the space environment then that helps to expand the knowledge of microgravity-based biochemistry (both basic and applied) and the entire field moves ahead. Not so with the space-inspired golf clubs that actually do not use ISS-based research - which is what CASIS is supposed to be promoting. Funny thing: this Ardbeg research was all done via Nanoracks - the one clear ISS success story that CASIS has had anything to do with. Oh .. but wait - this experiment was done via the ISS National Laboratory - not CASIS - so its the established policy of CASIS to ignore it. Come to think of it, the ISS National Lab people have not been chatty about this success story either. Oh yes: when I first posted this photoshopped image in 2012 some people within NASA thought it was real and started to try and figure out how it happend i.e. a glass bottle [safety] with a brand name [no agreement?] freely floating around the ISS. Memos and phone calls happend. Oops. Hear from the experts: @ardbeg_com and @jeffmanber discuss #ISS terpene experiment results: https://t.co/RweKb6EyL6. By Keith Cowing on September 2, 2015 8:47 PM. "And this is where it gets particularly murky. These are private companies, with private balance sheets, and the valuations they ascribe to themselves aren't vetted in the same way by the S.E.C. or public markets. These start-ups, in other words, can command much higher, and at times fabricated, valuations. One successful venture capitalist told me that he recently met with a unicorn [tech start-ups valued at $1 billion and upward] that was seeking a new round of funding. When he asked the C.E.O. why he had valued his company at $1 billion, he was told, "We need to be worth a billion dollars to be able to recruit new engineers. So we decided that was our valuation." Keith's note: Silicon Valley is space business crazy right now. Everyone seems to want to have a space start-up and some of them are now buying out and devouring one another - based on hype, imaginary valuation, and the promises of space snake oil salesmen. There are smart people out there - with smart ideas and sound business plans. So far they seem to be the exception - not the rule. I have seen this movie before. Unless some actual products (with profits) emerge this bubble is bound to burst - regardless of whether Silicon Valley itself pops. As a friend of mine often says, this must have been what it was like when Rome was about to start burning. By Keith Cowing on September 2, 2015 11:01 AM. "Last October, scientists at the Centre for Quantum Technologies (CQT), National University of Singapore, were horrified when the Antares rocket exploded just seconds after take-off from a launch pad in Virginia, in the US. ... The CQT scientists thought their 300g device, embedded in a Danish satellite called GomX-2 in the rocket, and costing $12,000, had been lost. But they have been told that the satellite was found on a beach near the launch site and returned to GomSpace, the company in Denmark that built it. Assistant Professor Alexander Ling, a CQT principal investigator, told The Straits Times: "Just after the SG50 weekend, our Danish colleagues rebooted the satellite, and they sent us some data." By Keith Cowing on September 1, 2015 5:16 PM. 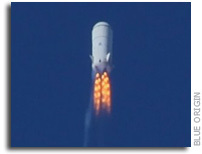 "The decision to invalidate the patent was issued Thursday at Blue Origin's request. The company received a mostly unfavorable preliminary ruling in March and informed the review board that it has submitted a new patent application for its product." "In an order made public today, the U.S. Patent Trial and Appeal Board granted a motion to cancel the remaining 13 of 15 claims in the Blue Origin rocket-landing patent. Blue Origin itself had made the motion to cancel those claims, effectively acknowledging that its case was lost." By Keith Cowing on September 1, 2015 11:47 AM. "The annual AIAA Space conference is underway. In this plenary session government, business, and academic leaders engage in conversation about the direction of change in the space industry and the trends impacting future developments in space science, military space, space launch, and space exploration." "SpaceX said its next launch will be delayed longer than expected after the June 28 accident that destroyed its unmanned ship carrying cargo to the International Space Station. The Hawthorne-based company is still "a couple months away from the next flight," Gwynne Shotwell, president of SpaceX, said Monday at a scientific forum in Pasadena. "We're taking more time than we originally envisioned to get back to flight," she said. "But I don't think any of our customers wants us to race to the cliff and fail again." Keith's note: Note: SpaceX discusses their upcoming Falcon 9 launch schedule. This page is an archive of entries in the Commercialization category from September 2015. Commercialization: August 2015 is the previous archive. Commercialization: October 2015 is the next archive.